I post this from my i-phone at my father's home in St. George, UT. Dad passed away early this morning at 83 years of age. 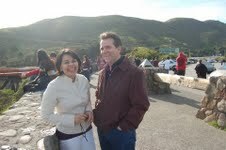 He was a wonderful man that I will treasure for all my days. Attached is a link to a story I wrote on him on his birthday in March. He called and spoke to me shortly after that and it was our last conversation, lasting about 15 seconds. I am grateful that his suffering has ended and have faith that he's in a better place. My brother Eric wrote him a touching poem a few years ago. I'd like to share it here. There are some references to mormon theology, but the loving message is conveyed. And as far as I know the President doesn't even know his name. But I saw him help his neighbors whenever they needed a helping hand. He's fixed their cars and taught their kids, hauled rocks and pitch and sand. For when you serve your fellow man, you only serve your Lord. My father's not a millionaire, he's never traveled far. When I graduated from school, he could not buy me a car. And, try as I might, I've never seen his face on MTV. But he sent me on a mission where my testimony grew strong. He held home eveing every week, we even have a family song. I see that no success can compensate for failure in the home. My father never saved a life or fought on foreign shores. He's never earned a doctorate or been honored with awards. He's never run for Senator or been sought out by the Press. No Pope ot King or Ambassador has even asked for his address. But I've learned something that the world has long been searching for. It's not gained from riches, worldly succes or learned by waging war. For I have seen him live his life while holding the Iron Rod. And I know, that most precious truth, the way to return to God. Due to the illness of my father, who is surely living his last days on this earth, I have been unable to post any new material. The OKP blog will resume activity when I return home at an undetermined time. Thank you to the many that have expressed concerns and offered prayers on my family's behalf. Do the players like the “I Love L.A.” song that is played after Dodger wins? Judge it for yourself. Following Jon Garland’s last start and complete game victory against the Braves on Wednesday, take a look at this clip. Specifically Garland at the 14-16 second mark. Yes, Garland is singing along with Randy Newman about “rolling down Imperial Highway.” Caught you on tape Jon. Belt it out buddy, it’s a great tune! Yes, I know there have been times that he looks overmatched. He has made mental mistakes by throwing to the wrong base and getting thrown out at third on a ground ball hit to his right. All, rookie moves and expected mistakes, and there will be more. But, the team is winning. He’s getting his hacks. He’s seeing that slider low and away, something he’ll have to learn to recognize and lay off of. Then there is the occasional clutch hit and RBI. 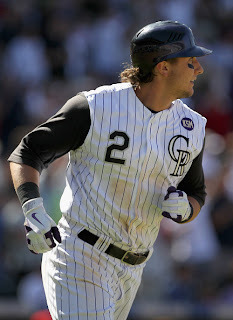 The hustle in left field that he is handling admirably as a young rookie. And the outfield assist as we saw today, (video clip below). He is getting invaluable experience at the major league level. He has the look of a real ballplayer to me, someone that will stick and be a key member of the Los Angeles Dodger for years to come. Now speaking of invaluable experience for youngsters. For the life of me I can’t figure out why Ivan DeJesus isn’t getting some starts and Aaron Miles is leading off game after game. 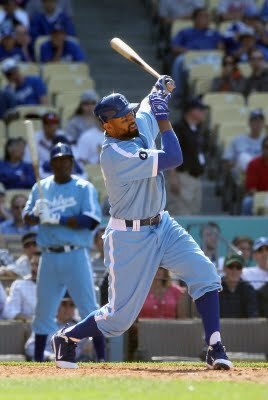 It seems that all in Dodger management have agreed that DeJesus needs to get at bats and a good amount of playing time to grow as a player. Though most preferably, they’d like him to gain that experience at Triple A ball. Now that there is a spot to fill periodically, why are they going with Miles? This is another case of the curse of a manager that believes in PVL (proven veteran leadership). What I don't understand is why Mattingly plays Sands and refuses to put DeJesus in the lineup. Jonathan Broxton fails to blow hitters away like he used to. His fastball today was in the neighborhood of 91-92 MPH. His defense saved him today with great plays consecutively by Loney and Miles. There has to be something wrong with him physically. I keep hoping for the same guy we saw in April-June last season and he hasn’t re-emerged. What is most noticable is Broxton's failure to put hitters away with the strikeout. 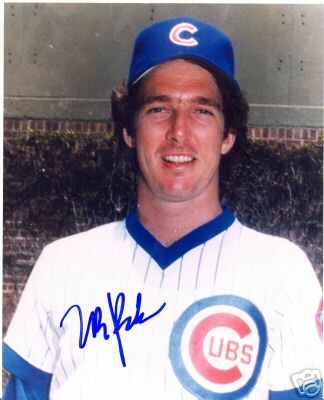 Up until this season his strikeouts per 9 innings ratio was 11.6. So far this season it is 6.6. Speaking of closers, as I type this I’m watching Brian Wilson get rocked in the 10th inning against Atlanta. A game that the Braves eventually won 9-6 as Wilson's "good vibrations" seem to be a thing of the past. Wilson took the loss and now has an ERA of 9.82. 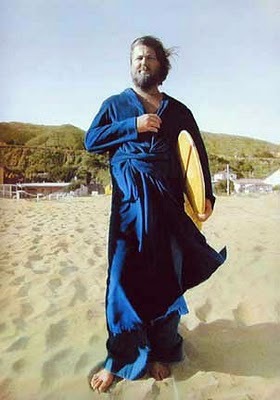 I can’t help but notice how much he looks like Beach Boy Brian Wilson from around 1976. Maybe it's time for him to shave off the beard. Many writers of various publications (blogs and periodicals) have been speculating who the MLB Commissioner will select as a conservator over the Dodgers to oversee their operations. There seems to be quite a bit of support for Peter O'Malley to fill that position. A return of the O'Malley clan to head the Dodgers makes sense and would be received positively by the Los Angeles Dodgers community. I received an email response from Tom Seidler. It was classy, diplomatic and to the point. I can't help but wonder though if asked by the MLB Commissioner to take charge of the club, would he agree to step in and do it? It looks like he has his hands full at the moment with his own minor league club. Additionally, I seem to remember that there were some disagreements between Bud Selig and Peter O'Malley years ago when Peter owned the team. 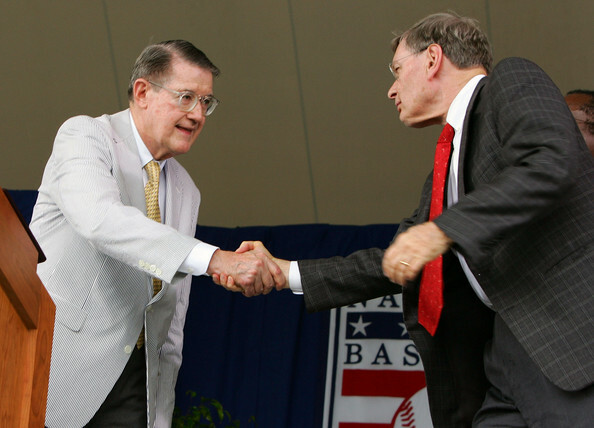 Perhaps Selig doesn't want to involve any O'Malley family members with the Dodgers again. Have they let bygones be bygones? Peter O'Malley and Bud Selig shake hands at Walter O'Malley's Hall of Fame Induction Ceremony in 2007, Cooperstown, New York. Below is the email I opened this morning from Mr. Seidler. We're building up a nice little Minor League Ballpark and operation here. Come up and see it sometime if you get the chance. Hopefully the Dodgers find a path to stability sooner rather than later. I will drive on out to Visalia and see his operation. I'm interested. It looks like he is very approachable and accommodating. I see the Dodger affiliate Rancho Cucamonga Quakes are there in July. There's nothing like watching minor league baseball in 100 degree heat. Minor League Baseball on a hot summer day, you've got to love that. I originally didn't like the throwback powder blue uniforms, (preferred the 1911 team design that was proposed), but the guys could wear angel periwinkle everyday if they continue winning in the dramatic fashion that they did yesterday. I wonder how much longer they'll pitch to Kemp in clutch situations. It was surprising to see him get a chance to win the game yesterday while first base was open again. Thats two N.L. managers burned in 4 games. How many more will risk the odds against Kemp this season? Perhaps Peter O’Malley won’t want to take the reigns of the Dodgers again, after being out of the picture for 13 years. But what about Tom Seidler. Who? Tom Seidler. He’s Peter’s nephew. The grandson of Walter O’Malley. He has been groomed to be a baseball executive all of his life, and he is currently part owner and President of the Visalia Rawhide in the Cal League, (Arizona Diamondbacks affiliate). Club President Tom Seidler moved to Visalia two years ago to take a more active role in the day-to-day operations of the ballclub. Tom has added several front office positions to better serve fans and players, and the larger staff led the ballclub to great improvement in 2007 and 2008, with a 35% boost in attendance (the #1 attendance increase among 180 minor league clubs in the country). Seidler has been involved in professional baseball for 17 years. 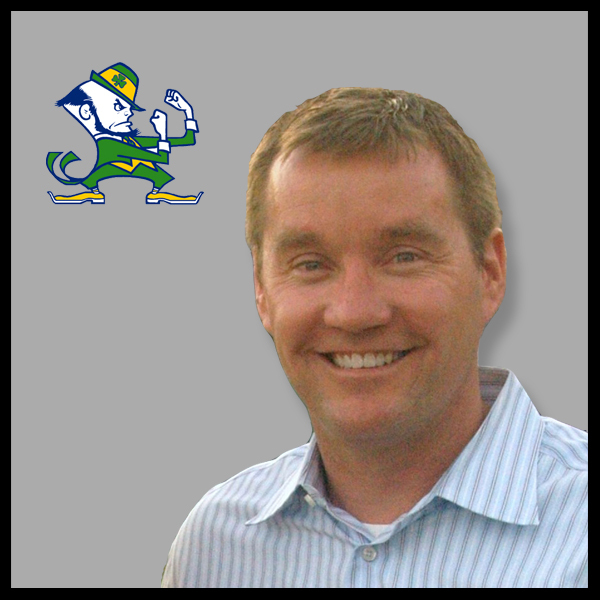 After graduating from the University of Notre Dame in 1990, Tom began his career in baseball administration with ballclubs in Vero Beach and Kissimmee, FL; Mesa, AZ; and Caracas, Venezuela. Tom earned his MBA at Vanderbilt University in 1994 and then served three years as the General Manager for the Great Falls Dodgers (Pioneer League). Baseball America awarded the club the 1995 Bob Freitas Award for Operational Excellence. Tom served as President of the Stockton Ports from 1998-2000, earning California League Executive of the Year in 1999. Let me ask this, is there a more perfect fit for the Dodger organization at this time? He’s a baseball man with O’Malley bloodlines. Here is a young executive that has learned the game from the ground up within the Dodger organization. He was out grooming fields in the Cal League and arranging the laundrying dirty uniforms as a young man because the O’Malley family understood that their kids needed to learn the organization from the lowest levels. This is an educated executive that has worked in a management/ownership role. He has been involved in player personnel issues as a minor league GM and has been recognized as an excellent executive by his peers. He’s familiar with how the farm systems operate. This is a guy that wasn’t handed anything, even doing a stint in Latin America. 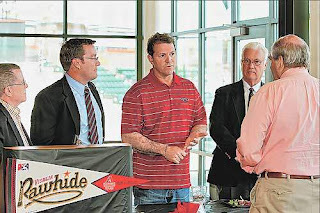 Tom Seidler, second from left, with Arizona Diamondbacks director of player development, Mike Berger, at Visalia Rawhide event last year. I fired off an email to Tom letting him know of my support for him and asking him to consider taking the reigns of the Dodger organization if he is asked. No answer yet, not that I expect one. Here Come the Law Suits. What a Mess! I’d love to view the events of the Bud Selig announcement this afternoon as a positive step forward for Dodger fans, but I fear that we are in for a long ride ahead. I hope I’m wrong, but I don’t think so. If you are thinking that this is the beginning of the end of the McCourt saga, I say think again. Frank McCourt will muster all the resources he can come up with and take Major League Baseball to court. I hope that Bud Selig has his legal team well prepared because they are undoubtably going to be working real soon after McCourt files suit. This man has gained his fortune by filing suit against his partners along with a series of dirty tricks to take possession of the parking lot property that he bought in Boston. With Jamie, rather than have an amicable settlement in his divorce, he rolled up his sleeves and went to war, first by character assassination and then in the court room. Common sense should have prevailed, and the dirty laundry about their personal expenses and infidelities wouldn’t have been aired in public. What makes anyone think that McCourt will do the diplomatic thing and walk away from his Dodger ownership without a fight? He never has in the past. This situation is a nightmare that will likely continue on and on. He sues his original partners in 1980, with whom he bought the Boston waterfront property, Jim Craig and Austin Heath. Through a series of complicated manuverings, McCourt surfaces as the lone owner of the property after Connecticut developer David Chase loans him $9 million to secure the deal. The only thing his former partners end up with are 3 years of uncompensated work and a $369,000 tax bill on the property. Next litigation McCourt took on the Department of Highways from the Commonwealth of Massachusetts. The Commonwealth needed to borrow part of his property to complete the “Big Dig” construction highway tunnel project. Though revenue from all of McCourts parking lots was $4 million per year, the Commonwealth had agreed to pay McCourt $30 million over the eight years of the project for just using 12 acres of his land. McCourt wanted more and sued them for $140 million. In the end he prevailed and settled for $62 million. Not bad for a piece of land that would have earned him about a million dollars in parking revenues each year. This settlement turned out to be the costliest eminent domain settlement in the history of the U.S. In the end after the project was over, McCourt got his land back too. This situation is a nightmare that will likely continue on and on through years of litigation. At present, McCourt is suing his former law firm that represented him when documents were drawn up and signed by both he and Jamie re: Dodger ownership issues. He also is appealing his divorce decree decision. I predict that MLB will be sued next putting Dodger ownership in limbo for a few more years. On January 27th I sent the following letter to Bud Selig. I think it is worth reading again today now with the events of this afternoon. Thanks for listening Bud! Please Mr. Selig. It’s time to do something. It is time to invoke the “best interest of baseball” clause and protect the Los Angeles Dodgers and their fan base. Force the McCourts to sell the Los Angeles Dodgers. Your legal team needs to come forward and put an end to this ownership that never should have happened in the first place. This is a franchise on the verge of financial collapse. And how can that be when they draw 3.5 million fans a year? It is simple. There is complete mismanagement by the present ownership. I will present to you over a dozen points that serve as evidence that the present owners of the Los Angeles Dodgers are breaking laws, mismanaging funds, completing underhanded back-room deals, are simply out of money and living on credit, and have questionable mental faculties intact. It is time to oust the McCourts as stewards of this baseball institution and historic franchise. The Dodger Dream Foundation and its mismanagement: In 2007, the McCourt ownership paid a $400,000 salary to Howard Sunkin, Frank McCourt’s former liaison in public affairs out of $1.6 million collected for the Dodger Dream Foundation. This 2007 disclosure, in a story broken by the New York Times, was completely misleading to the fans and merited disciplinary action by MLB when it occurred. The New York Times reported that Sunkin’s salary was more in tune with someone heading a charitable foundation that collects in the neighborhood of $100 million annually.This egregious use of charitable contributions has drawn the scrutiny of the California Attorney General that is currently investigating this case. And Sunkin continues on the payroll to this day. Ownership has spent ridiculous amounts to live lavish lifestyles, all on the fan’s dollar. The McCourts have used the team as a personal credit card. Florists, hairdressers, tailors, real estate, security, private jets, lavish hotels, country club memberships. They own several multi-million dollar estates. But “own” is misleading. They purchased the property on credit, using the Dodger franchise as collateral. I understand that persons in ownership positions have a certain standard and image to uphold, but the McCourts have overdone it. Some of these costs are just way over the top. Frank McCourt has paid his sons hundreds of thousands of dollars in salary annually when they were not even working, (one was attending grad school at Stanford), another running a surf shop on the beach. Neither play a significant role with the club. The reckless and unbendable risk taking Frank McCourt took by refusing to settle in his divorce settlement. This move tied the franchise’s hands financially by not allowing the Dodger team to upgrade in player personnel moves right at the stretch drive when the team was a mere 5 games back in the standings. Worst of all, McCourt and his mouthpiece’s have refused to acknowledge this fiscal restraint, lying to the fan base as the only real contracts they add are backloaded and contain deferred payment provisions, (which is my next point). The backloading of contracts and the numerous deferred payment contracts, that will hamstring the franchise for years to come, paying for players no longer with the team. These are obvious moves from an owner that has no money and is living on borrowed time as he waits for what he hopes to be a massive new TV contract to fall in his lap when his current FOX TV deal expires in 2013. Forcing newly signed players to contribute to the “Dodger Dream Foundation.” This resulted in a Players Association grievance that forced MLB to take a stand. You should know about this problem Mr. Selig, since you had to address the union on it and announce that such clauses in contracts are disallowed. Thank Mr. McCourt for that. You created this mess by pushing for the approval of McCourt by other MLB owners. You knew full well that prospective owners are not to have debt in excess of 40% when arranging the purchase of a new club. Everyone knew how highly leveraged this purchase from Fox was. Still the sale went through. It is time for you to undo the mess you created. Estimates today put McCourts debt upwards of $ 800-900 million. Reports have been made public that Frank McCourt has attempt to secure loans to pay his wife alimony. He actually did get a loan from his brother for that purpose. Worst of all, it is reported that financial institutions will not loan him money due to his precarious financial standing and credit. Court documents in the divorce proceeding repeatedly emphasize Frank McCourt’s risky financial moves. Frank McCourt’s back door dealings to attempt to build an NFL stadium on Dodger Stadium Property without consulting City Officials or MLB. These secretive meetings took place in 2005 shortly after NFL Commissioner Paul Tagliabue had publicly backed the L.A. Coliseum Commission in its effort to bring the NFL back to Los Angeles. This completely caught the L.A. City Council off guard, as they had been investing significant resources in the Coliseum Commissions bid. Personally I like the idea of an NFL team playing at Dodger Stadium property, but the problem with McCourt was that he attempted to do this in secret, behind everyone’s back. When it was disclosed what he was doing, he lied about it and said it was “exploratory and a back-up plan. Witnesses to his activities state otherwise. The raising of average Dodger ticket prices by over 60% and the raising of parking fees by 50%. At the same time, player payroll remaining around the $100 million dollar mark. I will admit that Dodger ticket prices were the best in baseball for decades and there was a need for an adjustment here, but payroll did not raise commensurately with those revenues, and that is unfair to the fan base. If I took the time, I could provide you more facts that the McCourts need to be gone. You need to do your part to save this fan base from the mismanagement of this ownership. Recent reports indicate that this divorce settlement will enter another phase of legal battles that will not even hit the court room until 2012. http://latimesblogs.latimes.com/dodgers/2011/01/the-dodger-divorce-and-the-philosophy-of-fear-i-know-im-scared.html This really has to stop. I am hopeful that you have a legal team in place that is ready for a battle. I trust that MLB could oust McCourt and appoint a receiver to protect the fan base and MLB. I'm sure that Major League Baseball has a legal team that could easily prove that these numerous moves made by McCourt has harmed the franchises value and MLB's reputation in general. Please do your part and rid us of this destructive ownership. Dodger fans would like to concentrate on baseball. With the recent bullpen problems that the Dodgers have had, nobody should be getting their hopes up that assistance will be coming out of Venezuela soon in the name of Ronald Belisario. 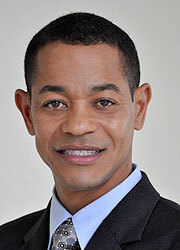 Ronald Belisario. Remember him? I predicted on February 16th that he wouldn’t be reporting at all this season immediately after news came out with contradictary information from his agent and later Belisario that he wouldn’t and then would be reporting to Spring Training. Since I work on these types of issues on a daily basis, I knew that Belisario was in the middle of a deep immigration problem. The man was found inadmissible by State Department officials due to his admitted addictions and criminal history. Today, Enrique Rojas of ESPN Deportes tweeted that Belisario won’t be receiving a U.S. Visa this year. What his sources are, I don’t know, but he seems to have his pulse on the latest news of the Latin American players. Rojas’ information simply confirms earlier news we received from Belisario’s agent, Paul Kinser, on February 17th of this year. 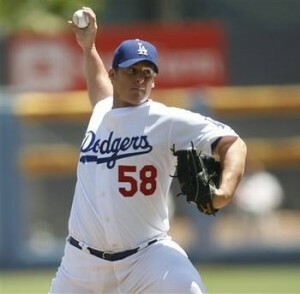 Any hopes of “the bowler” returning to the Dodger staff this year are pretty much gone. Assistance in the Dodger bullpen is needed desperately now with lackluster starts from Broxton, Jansen, Hawksworth, and Cormier. The injury to Kuo further complicates things. Perhaps Vicente Padilla is a possible answer to the closer situation, but he’s unproven in that role and still undergoing extended Spring Training. With regards to the closer’s role, all I have to say is this. 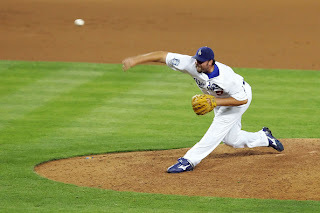 For a good portion of Broxton’s career, he was amongst the best reliever’s of the game. In fact, as recently as last June 26th, (when he had an midseason ERA of 0.83), prior to the Yankee game (the 27th) where Joe Torre left Broxton out to die and throw 50 pitches in the 9th inning. Jonathan Broxton was viewed as the best closer in the National League. The man was chosen to close last year’s All Star game. Often overlooked is that he did record the save in that game, as shaky as it was, it was a save. Something happened after that game June 27th game. Whether it is mental, physical or a combination of both, I squarely blame this on Joe Torre who may have destroyed a career in the process of attempting to massage his ego by winning an almost meaningless regular season game against the Yankees on National TV. I agreed with Mattingly’s approach in handling his closer this season. He has expressed confidence and so far, Broxton’s poor performance this season has not really cost him a game. Broxton new nickname should be “Full Pack II,” because he is apt to fill the bases with runners and allow runs at a precarious rate. I really hope he regains his confidence, repertoire of pitches and returns to form. Heaven knows the Dodgers need him. And to those that are expecting another Eric Gagne again, I say, forget it. We’ll never see another dominant closer like Gagne’s 2002-2004 seasons again. Think of the bright side. They could have a closer named Ryan Franklin on the roster. It is my wife’s birthday, so no writing today. Family first! I love you Espe...have a wonderful day! My prediction at the beginning of this season was that the National League MVP will be a battle of Western Division foes: Troy Tulowitski and Matt Kemp. Both are off to a fantastic start. The edge probably going to Tulowitski due to the Rockies blazing start this season. The season is only 16 games old, but it's refreshing to see Kemp starting off with eye popping numbers. 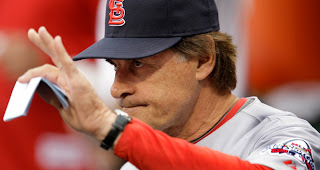 With Juan Uribe and James Loney batting .154 and .150, it was shocking to see LaRussa not put up the four fingers when Kemp came to the plate in the ninth inning representing the winning run. With 27 hits over the first 16 games this season, I really have a hard time believeing that Kemp will continue to see pitches to hit with those two hitters following him in the batting order. Opposing teams coming in to Dodger Stadium will soon be of the mindset that Ethier and Kemp will not be allowed to beat them. Without a change in hitting approach by Uribe and Loney, the Dodgers will continue to struggle. In all fairness to Uribe, he really doesn't belong in the number 5 or 6 slot. He's a number 7 hitter at best. It sure would be nice to see him take a few pitches now and then though. Chad Billlingsley stepped up and shut down the hottest hitting lineup in the game today. It was a clutch, solid performance that deserves much praise. He certainly deserved a win today. That is the thing about this starting staff, they are bound to always have a hot starter step up. In the first 16 games so far, almost all have had a shining moment or two. Kuroda, Kershaw and Billingsley have pitched some fine games so far. I predict that Lilly will follow suit very soon. Over at True Blue LA there is a very interesting assessment by Chad Moriyama of Hong Chih-Kuo's problems with his back affecting his release point and resulting wildness so far. Amazing the analysis that was done. Chad should take over as pitching coach, The video comparison analysis is spot on in identifying his problems. I hate to belabor the ownership issue but how can it be avoided? The fact that Frank McCourt had to get a loan to make payroll and expenses for another month leads me to believe that he’s living on borrowed time. Isn’t it a situation where he’s paying his bills with a maxed out credit card? I just shake my head when I think of it. 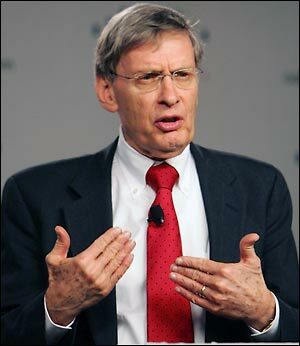 I guess Bud Selig can’t stop an owner from obtaining personal loans. 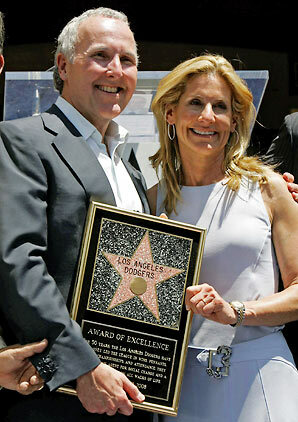 McCourt’s debt to Fox just grows and grows making it highly doubtful that the Dodger TV network will ever occur. From the looks of tonight’s crowd, it appears that fans are staying away. That can’t be encouraging to McCourt as he attempts to stay afloat financially. 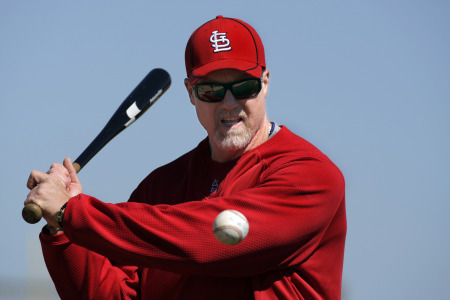 Looking in the St. Louis dugout and seeing Mark McGwire, it reminds me of how quickly he has been forgotten. Once the toast of baseball, he now is a baseball pariah and viewed as what was wrong with the game for a good ten-fifteen year span. Yet, there he is, still having Tony LaRussa in his corner. It should be mentioned that the Cardinal hitting approach has been excellent in this series and if McGwire has anything to do with the St. Louis hitting prowess of late, perhaps he’s the one of the best hitting coaches in the game. I hope the rest of the league doesn’t take this type of hitting approach when they face Kershaw. They are simply running up his pitch count with constant defensive swings on two strike counts. He hasn’t been able to put anyone away in the first three innings of this game, with the surprising exception of Albert Pujols. (As I write this, the Dodgers trail the Cardinals 5-1 on the fifth inning). I can’t figure out how Clayton can be nails against Pujols, striking him out in his first two plate appearances, but struggled trying to put away opposing pitcher McClellan. In AB # 1, it was about 12 pitches long as McClellan fouled off pitch after pitch. Then in his second at bat, Kershaw walked him on four pitches costing him a run in the 4th inning as the next batter Theriot belted a double just inches from the top of the wall. More gray hairs for Mattingly. Umpire Joe West isn't pinching him. Kershaw is just off kilter tonight. He finishes the night throwing 111 pitches over 5 innings, walking five and striking out five. The Cardinals probably fouled off 25% of his offerings tonight. Stats Driving Mattingly's Decision to Not Pull Kershaw? Okay, it was obvious that Clayton didn't have his stuff tonight. 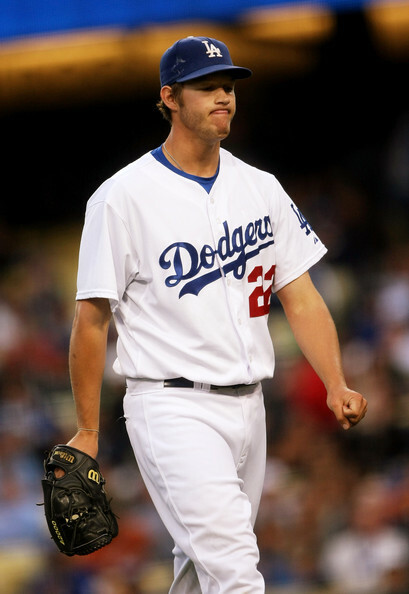 So after throwing 4 2/3 innings and 111 pitches, a laboring Kershaw was trying to get through the fifth inning. Mattingly allowed him to continue and "boom," Allen Craig hits a three run homer to really pull the Cardinals ahead. My question is "why?" If it was to get Clayton a possible win by going the required 5 innings - it's a dumb move. If it was to get him to finish the inning so he could be pinch hit for in the bottom of the inning where he was scheduled to lead off - another dumb move. There is such thing as a double switch. Mattingly could have lifted Kershaw in the fourth and put DeJesus in at second base for Miles in the pitchers spot and then moved the reliever (MacDougal) in the 8th spot. Anybody that played Strat-o-matic knows this. It was also an ideal time to get DeJesus some plate appearances, something that Mattingly was just saying yesterday about DeJesus. His need to get some work in. I simply don't understand his failure to make these moves tonight. These were the kind of decisions that Joe Torre made last year that would drive me crazy. Double switch Donnie! It's a simple double switch! The Cardinals are Coming! The Cardinals are Coming! And they Brought the Big Bats Too. Get out of the streets and take cover. 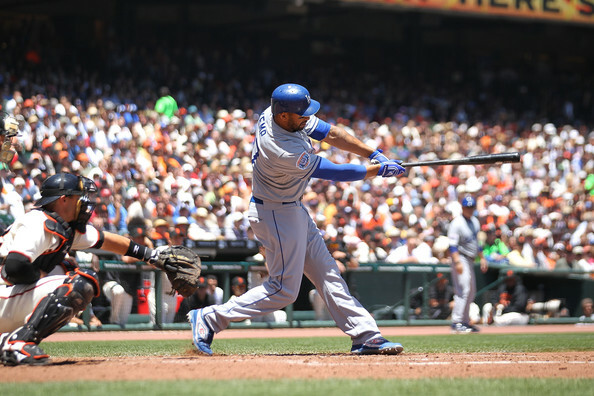 Balls that were struck by Cardinal bats are still in orbit as the Dodgers experienced a schalacking of epic proportions. Even celebrating Jackie Robinson day wasn’t effective in breaking the Dodgers losing streak and here we are, April 15th, and the club is already 5.5 games behind Colorado and two games under .500. The Dodgers lost to St. Louis tonIght 11-2 in embarrassing fashion. The Cardinal bats woke up a few days ago in Arizona and have continued in blazing hot fashion in Dodger Stadium. 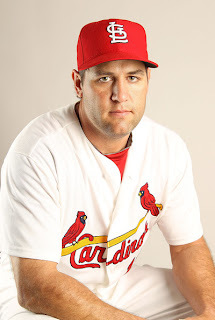 Lance Berkman and Albert Pujols homered twice tonight in spectacular fashion. The Redbirds collected 19 hits against feeble Dodger pitching tonight in a game that they thoroughly dominated. That is 35 hits against the Dodgers in the first two games of the series. It is not a great start, and it was just 4 days ago that I was feeling pretty good about this team. Loney and Uribe continue to slump miserably as the Dodger offense has been limited to the likes of Ethier, Kemp, Carroll and Blake. The holes in this lineup are starting to be exposed and the small sample size excuse is starting to get old as Loney already has over 50 ABs and Uribe approaches the same level. John Garland was rocked in his 2011 debut while Jansen, Hawksworth and Cormier again failed to finish their outings without allowing additional runs to score. The latter of the trio is quickly working his way off the roster. It has been an ugly week for the Dodgers who hope to turn their fortunes in the winning direction with Clayton Kershaw starting on Saturday after his fantastic outing last Monday against the Giants. His influence in sports had to do with officiating. Where he really made his mark was in the NBA. He officiated there from 1946-64 and then became the league’s supervisor of officials from 1964-66. When the ABA formed, he was hired as chief of officials in the new league. 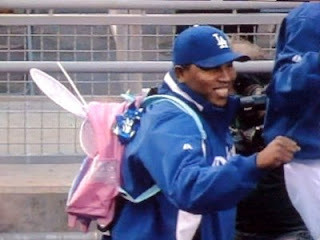 So what did this man have to do with the Dodgers? Well its a good thing that Borgia had the memory of an elephant. As was the case back in the 1950s, sports officials were always looking for another gig. Due to the low pay they received, ($40/game at the time), it wasn’t inconceivable that a referee in the NBA would moonlight in the off-season as an umpire in minor league baseball. Such was the case with Sid Borgia in 1950 as he umpired an International League game between the Dodger Triple A affiliate Montreal Royals and the Rochester Red Wings in New York. It was a controversial game. Borgia was really getting yelled at from the Montreal bench. He ejected 7 players and continued to receive a barrage of insults from the bench. Borgia recalls one individual that was particularly noticeable with his verbal assaults throughout the game. “He didn’t know if I was Irish, Jewish, Italian or what.” It didn’t matter though, the player was relentless with his insults towards the umpire calling Borgia every ethnic slur he could muster in his mind. It worked, because it got under his skin, for years it turned out. “It was Lasorda,” said Borgia. And he’d never forget it. Figuring that if Lasorda could survive the Eastern Basketball League as an official, Strom lobbied the supervising official of the NBA to hire him. That man, was Sid Borgia. His eyes lit up when Lasorda’s application was brought across his desk. “Now, I’ve got him,” he thought. “Now he can take some of the abuse that he gave me,” Sid Borgia then set up Lasorda’s audition for the league, knowing full well he’d never pass the test he would give him. It was a true set up for failure. 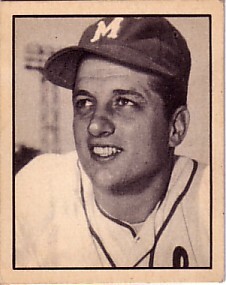 Lasorda was assigned to officiate four exhibition games between the Detroit Pistons and the Cincinnati Royals partnered with veteran referee Jim Duffy. Duffy was a tough referee that was known to use a lot of profanity while performing his duties. Borgia believed that teaming Duffy with Lasorda for four games, would result in a total cuss-fest. What he knew and Lasorda didn’t know was that an influential coach in the games he would officiate would not tolerate that behavior. Cincinnati head coach Charlie Wolfe was a religious man. Someone that refrained from uttering the Lord’s name in vain. He was quick to become offended by salty language. Borgia knew all these facts. Tagging Lasorda with foul mouthed Duffy in a game against the puritanical Wolfe was a recipe of disaster for the wanna-be referee Lasorda. After two games, Wolfe was on the phone to the NBA offices complaining of the “foul mouthed” referees assigned to his games. “You’ve got to get them out of here” he told Borgia, who quickly obliged his request. Thus ended Lasorda’s career as a basketball referee. Within a few months of this event, Al Campanis moved Lasorda to Southern California as a scout and then he slowly climbed the ladder within the organization to eventually be named manager in 1976. Would Lasorda have taken the gig as an NBA ref in 1964 had the job been offered to him? Absolutely he would have. He was making next to nothing as a scout, and always the showman, Lasorda would have loved the limelight. It is interesting all the twists and turns in life that seem inconsequential, how they can affect so many. 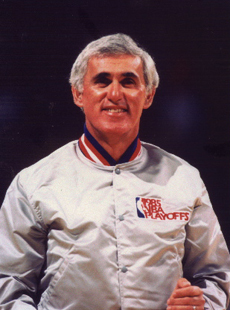 He passed away in 1999, his son Joseph was an NBA official and now is an NBA Executive Vice President, in charge of Referee Operations. Known as a pioneer in establishing the NBA, Borgia was quoted as saying that they first operated without a rule book. "When I came into the league, they didn't have a rule book. They handed us a college rule book and said we'd follow these rules with certain exceptions. When it came to zone defenses, the rule said 'no zone defenses allowed.' It was up to us to decide what was a zone. We eventually decided that a zone meant that a defensive player could not stand in the lane for more than three seconds, unless he was guarding someone. The early officials were the pioneers in figuring out how this game should be called." You’ve got to give them credit. Again, shaky defense almost did in the Giants when rookie first baseman Brandon Belt failed to cleanly field a ground ball hit right at him when he had a clear play at the plate, costing the Giants a run in the third inning. But the defending champions fought back and grinded out a well deserved win last night coming back from a 3-0 deficit. Their hits off of Billingsley were not off mistakes served up by the right hander. They were good pitches. Bills did an excellent job keeping the ball down and Giant hitters went down and hit them. Clutch hits by Posey, Sandoval, Belt and Rowand did in the Dodgers who were able to score three runs off of a flustered Tim Lincecum in the third inning. Giant relief pitching did a stellar job in mopping up as the bearded duo of Romo and Wilson shut down the Dodger bats in the 8th and 9th to close out the game. Blake Hawksworth took the loss after allowing the go-ahead run in his lone inning of work. The Dodgers close out the series and eight game home stand tonight with Ted Lilly facing Jonathan Sanchez. A win makes the road trip a relatively successful one with the Dodgers finishing it at .500. For the first time this season, the Dodgers will face opponents outside of the division as the Cardinals and Braves come into town for four games each. Kareem is a Dodger fan dating back to the days of Brooklyn. With tomorrow being the Lakers tribute, and the purple and gold hat giveaway, it’s appropriate. It’ll be Jackie Robinson Night the following game at Chavez Ravine on Friday. 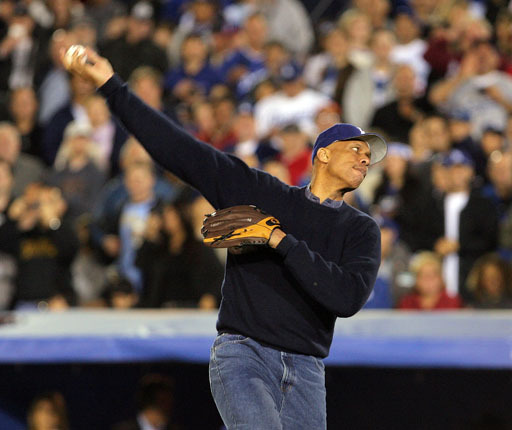 Last year Kareem read a tribute to the greatest Dodger of them all. Jackie Robinson Day never gets old. He is part of our heritage that was the greatest Dodger contributor to the game. 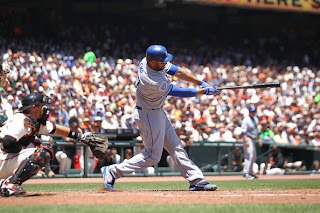 I’m on the road again and while driving to my destination this morning, I had the intriguing pleasure to listen to Giant broadcaster Mike Krukow talk about Matt Kemp. “Up to this point in the season, he’s the best player in the league,” he said. 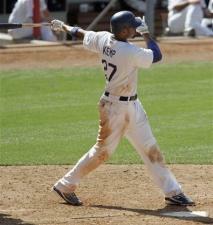 “Kemp is absolutely dialed in. He’s not making the mistakes he made in previous years. You used to be able to get him to chase pitches low and away. He doesn’t do that any more. He’s the real deal, his speed is an extremely dangerous weapon and the Dodgers are in this thing for good. Kemp is a big reason for that. 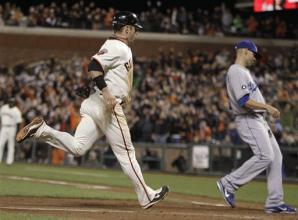 He’s an amazing player,” concluded Krukow. Of course he added, the season is only 11 games old, which is an excellent point. Needless to say, I almost drove my car in a ditch from the shock of hearing him say something positive about a Dodger. Good for you Mike, I know it must have hurt a lot to say what you did. Lastly, on the day that Barry Bonds was found guilty of obstruction of justice, and the jury hangs on 3 perjury charges, I can't help but be glad that we'll probably hear the last of Bonds for a while. This story started brewing in 2003. It took eight years to get to a verdict? Talk about anti-climatic.